Complete exhaustion, we have all gone through this at some point in our lives, and the fist thing 80% of people reach for is food. Before eating or drinking anything, always consider how you are really feeling. Do you feel drained? Sleepy? Dizzy? or are you just surrounded by too much stress that you feel like your system is shutting down? Once you have pinpointed the exact problem, it is much easier to come up with a solution specific to your condition. When you listen to your body, you can help it heal. For example, if you feel as if you can’t keep your eyes open, then try and close them for a few minutes (not while at work though, only during lunch or tea breaks!!!) One of the other major causes of fatigue is lack of proper rest. In order for the body to function well, it needs adequate sleep and a variety of healthy foods. Foods like bread, especially white bread and pasta tire out a person so take note what of you have been eating in the week, which could have added to causing your exhaustion. Exhaustion and fatigue, if not well taken care, can cause nutrition deficiency, dehydration and systemic inflammation. For every problem there is a solution. Medication should be the last resort. Nature has natural medicine in the form of fruits and vegetables which are packed with so many nutrients and vitamins that will provide you with energy. The fresher the fruit or vegetable, the better. Since there is never enough time to sit and chew your vegetables, especially when you are on the go, I believe in smoothies as the quickest and best solution to get your nutrition in, without too much hassle. 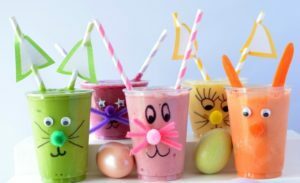 Most people have never considered the idea of a smoothie with fruit and vegetables, as it conjures up weird images in the head when you first hear of it. I never thought I would get used to vegetables in my smoothie but its only after you make one that you realize that they actually delicious, especially with the right blend of fruits and veges. The fruit masks the taste of the vegetables. Be warned, you might get addicted – no seriously, you might!! All you need to do is invest in a good blender like the Vitamix or Hi-blend . Here are some smoothie recipes to get you energized and vitalized in no time at all. Put all the ingredients into a blender. Blend until a smooth consistency is obtained. The peppers are rich in vitamin A and C which are good for strengthening the immune system. Vitamin C aids in iron absorption. Ginger fights nausea, has anti-inflammatory properties and improves the absorption and assimilation of nutrients. Cinnamon contains calcium and iron which are needed for oxygen-rich blood to be carried to the brain, assisting you to be more alert. A combination of ginger and cinnamon stimulates better blood circulation (Cinnamon and ginger both have blood-thinning properties). One of the main causes of fatigue is poor blood circulation to organs in the body. Berries boost brain function. Pineapples and apples aid with digestion and are a good source of fibre. 1/2 a cup of water ( preferably filtered) – if you prefer a cool smoothie you can substitute with ice. Put all the ingredients in a blender. Blend until the right consistency is reached. Banana is rich in potassium which is a vital nutrient that maintains fluids and electrolyte balance in the body. Spinach is rich in anti-oxidants, Vitamin A, Fibre and Magnesium which lowers blood pressure. Berries are a good source of phytochemicals, which help protect the body from disease. The anthocyanins in berries boost brain function. Avocados are a good source of healthy fats and Omega-3 oil which is good for the brain. The combination of vitamin B6, D and C help maintain a strong immune system. I hope these smoothies give you some idea of how to fight exhaustion. I would love to hear from you, share your remedies for exhaustion and your smoothie ideas that are not only healthy but delicious.